Despite resulting in two solid, cinematic video game adventures, it appears Lara Croft’s big makeover hasn’t done much to help the world famous tomb raider make the leap to movies. Hopefully her next game, which was officially confirmed today, will fare better. As was first reported back in 2016 when a nosy Reddit user spotted what appeared to be a presentation about the then-unannounced sequel on someone’s laptop (seriously), it’s going to be called Shadow Of The Tomb Raider. Unlike the last two games in the series, which spent a year locked in Xbox exclusivity, Shadow will also be coming to PlayStation 4 and Windows when it launches on September 14, 2018. That’s about all the information Square Enix is providing about the new game thus far, promising it’ll be getting a “full reveal” next month. The publisher describes Shadow as “Lara Croft’s defining moment as she becomes the Tomb Raider,” hinting that this’ll tell the story of how the young, traumatized Lara of the current games grows into the globe-hopping treasure hunter that her title actually implies. 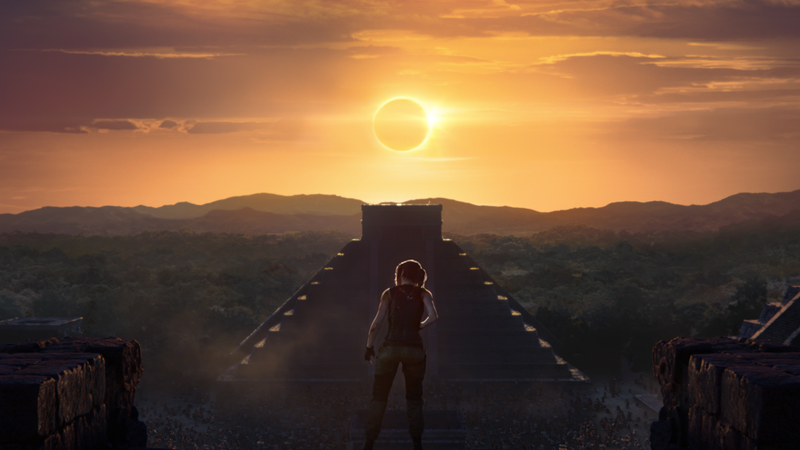 The extremely slight teaser trailer features no actual game footage but really hammers home the fact that Lara’s next adventure will have something to do with an eclipse, Latin American pyramids, and, of course, murdering heavily armed military dudes with an ice axe.